“The Sugar Point Run” still feels a lot like Firefly, but I do think we’re already starting to see Killjoys distinguishing itself a bit from its predecessor. Unfortunately, to me, this episode feels almost more like a pilot episode than the first one did. There’s still a lot of verbal exposition going on, some of which is repeated from last week, and I would have liked the situation with Dutch, Johnny, and Dav to have ended up last week where it is at the end of this episode. Because of course that’s what has to happen in order for there to be a story here. Nothing says “dystopia” like some skulls on spikes in a devastated, wartorn warehouse district in Toronto. There’s a lot of good stuff going on in “The Sugar Point Run,” though. It takes us deeper into the Company-run dystopia the characters are inhabiting, and there are some neat things happening there. I definitely came away from this episode with a better understanding of the politics of the Quad and what the killjoys’ role in things is supposed to be. I’m not completely sold on it all yet, but it’s still interesting enough to keep me watching. I’m hoping, though, that we’re coming to the end of this heavy handed info dumping so we can get on with learning more about the characters and seeing a real story play out. Because the characters have a ton of potential. “The Sugar Point Run” shows us more of Dutch’s training as a child assassin, which is actually pretty harrowing, and we also see that D’avin is still having PTSD dreams, which isn’t explored at all. A big part of this episode was Dutch and D’Avin doing stuff together, which I liked, although I don’t like that it looks as if they’re headed for will-they-or-won’t-they sexual tension town. They have nice chemistry, as beautiful people often do, but that’s just such a tired trope that I could really do without it, maybe, just this once. Repairs aren’t going smoothly when you have to pull out a gun. The other half the episode is Johnny hanging out with the ship, Lucy. We get to see Johnny being competent, which is good to establish, although he still feels a little too much like a comic relief character to me. While he’s repairing the ship, he does make a discovery that starts him to questioning Dutch, though, which introduces some more tension into their relationship. I’m actually more interested in Lucy, though. We’ve seen a good amount of the human characters’ interactions with the ship, and it looks like they are definitely going to be developing the ship herself as a character. I’m not generally a fan of sentient ships, although I do think they can be done well. So far, Lucy has gotten some of the show’s best lines, but I think that’s a testament more to the overall weakness of the scripts than it is of how well the ship is being utilized as a character. Like the other main characters, though, Lucy definitely shows some potential. 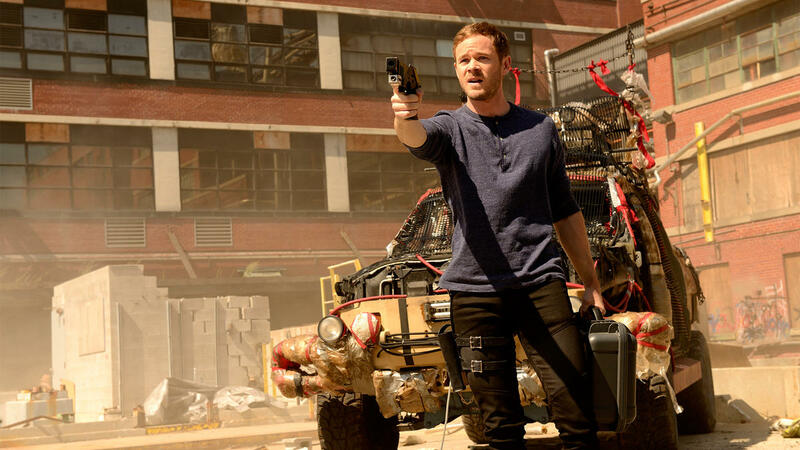 All things considered, I am still enjoying Killjoys quite a bit, and I’ll almost certainly be sticking out the rest of this season. If the writers can move away from info dumping, get the series arc moving, and give the characters a bit more depth, I think it could be be a great show. And it could be that my impression of this episode as a second half of our introduction to the world and characters is exactly what the writers intended. If so, it’s not how I would have done it, personally, but it would mean that things will start getting really good this week with episode three. Here’s hoping.